Looking for some privacy? 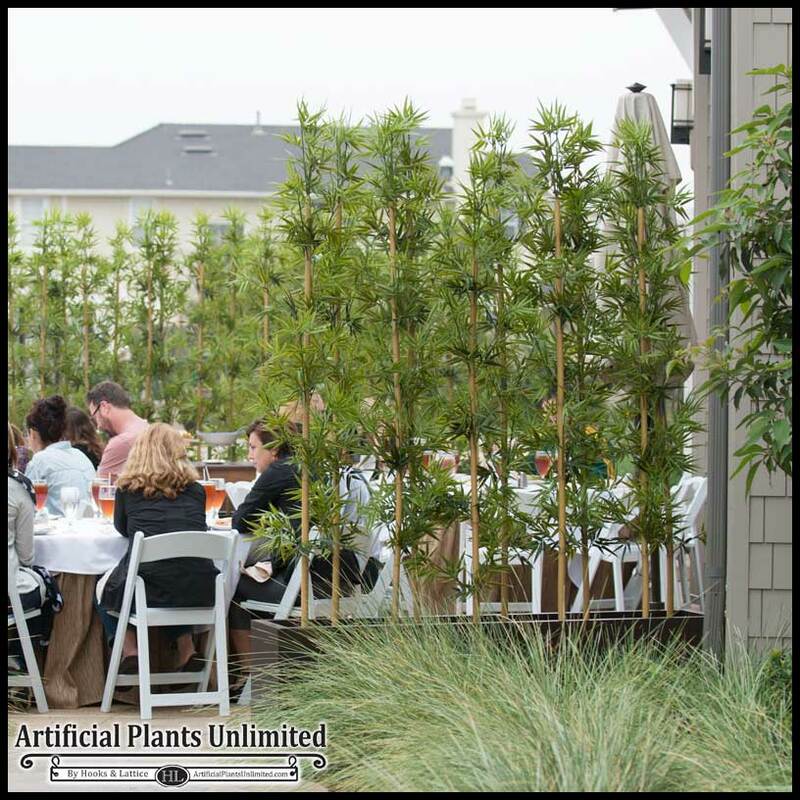 Our artificial Boxwood Hedges in Planters block views and give you full privacy for any space—home, restaurant, hotel, office, or other. Line them up around your patio or balcony to create a secluded oasis free from neighbor’s eyes. Place them around a spa area to give guests a tranquil spot perfect for unwinding. Put them in a retail display for a modern accent that also directs foot traffic. These UV-impregnated hedges are made fade-resistant and weatherproof, so you can use them indoors or out. 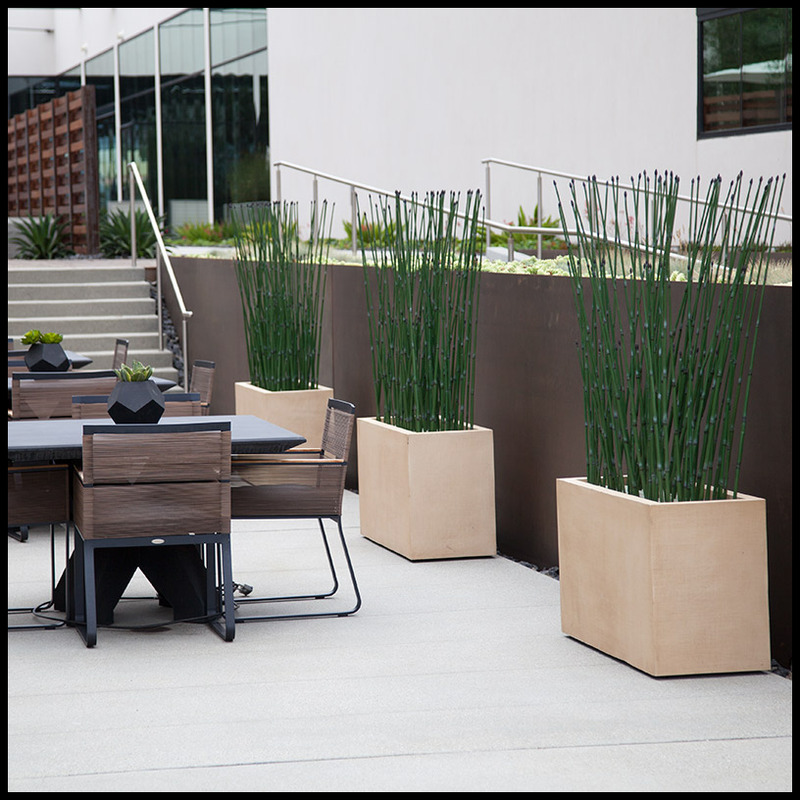 To achieve partial privacy with filtered views, consider our Horsetail Groves in Modern Planter. Perfect for hotels, resorts, shopping malls, outdoor dining areas, and patios, these outdoor-rated artificial reeds don’t need to be watered, pruned, or trimmed, and their realistic look is due to the intricate, handcrafted design of our talented artisans. Create smaller conversational areas in an open-space room without blocking site lines or losing the open feel. Available in reed heights of 2-6′, and in reed densities of standard, medium, and high, these contemporary space dividers can be customized to create just the right amount of privacy you need for your space. Modern planters can also be customized in size, color, and finish. Bamboo is known for its beauty, strength, and Zen-like plant personality. Our Bamboo Indoor and Outdoor Artificial Groves in Modern Planters are very convincing in appearance and look like real bamboo even at close inspection. These UV-protected bamboo clusters are long-lasting, and won’t fade even in full sun conditions. Yellow, green, and black bamboo canes are available in our streamlined Modern planters, which can be customized in any size and in your choice of 25 colors and four finishes. Our über-modern Birch Pole Screens in Modern Fiberglass Planters make private spaces even more tranquil with their nature-inspired style. 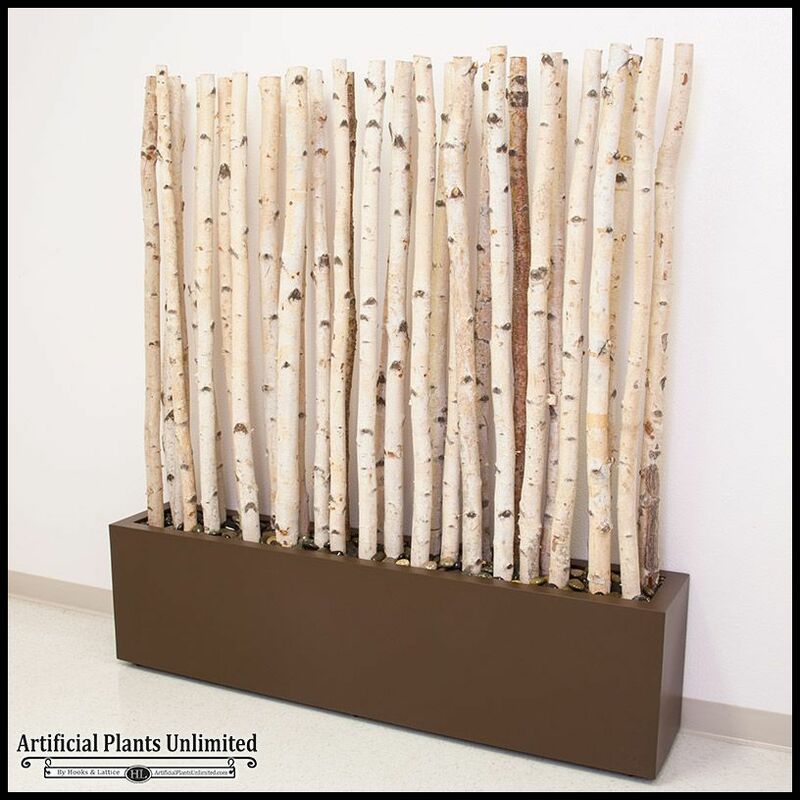 Birch limbs are positioned in foam and covered with decorative river rocks in one of our Modern planters made in your choice of size, color, and finish. 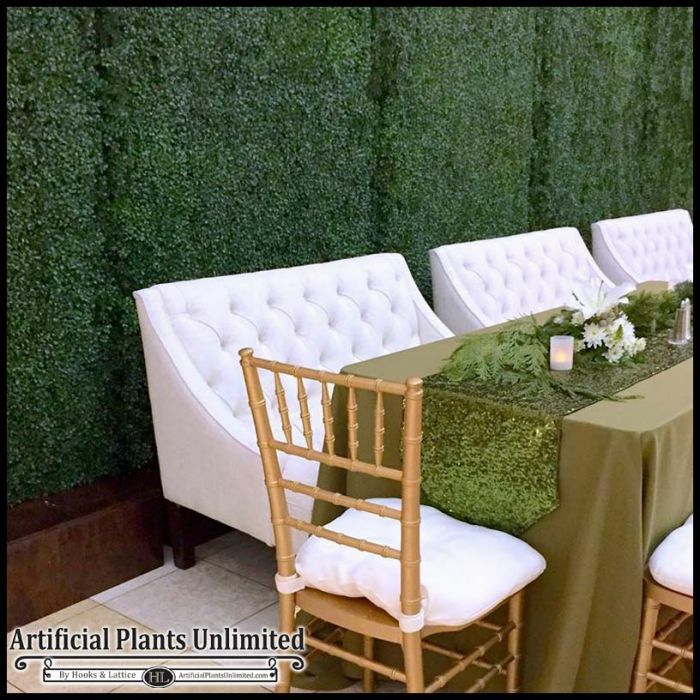 Control foot traffic, cover unsightly views, make a lovely backdrop for events, or add a garden screen to your patio or balcony with our Azalea Outdoor Space Divider in Fiberglass Planter, made by our sister brand Planters Unlimited. 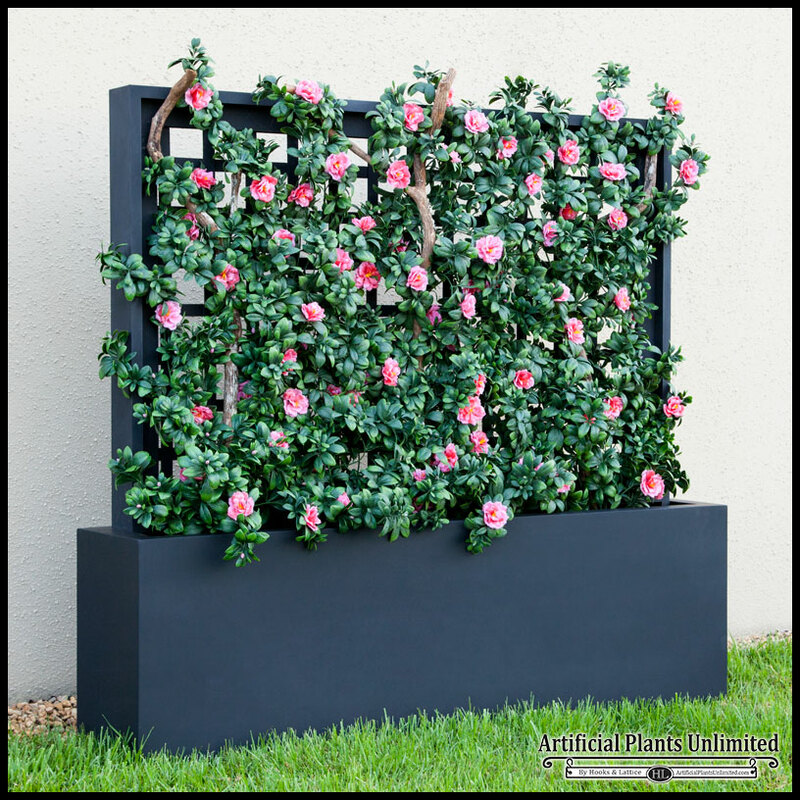 This trellis-turned-privacy-screen comes already populated with UV-rated artificial azaleas in white, pink, or red (or flowerless and green). Made from heavy-duty fiberglass with a planter base, this trellis is durable enough to be used in high-traffic commercial environments and still maintain its beauty. Want more information about our space dividers and privacy screens? Call us today with your questions, orders, and customization requests: 1-888-320-0626.